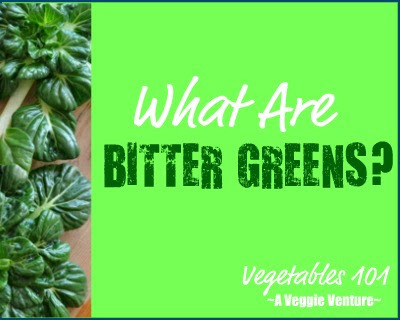 Greek Greens ... the base technique is a wonderful way to 'hold' fresh greens for a couple of days so they can be used later, this year in a great fish and pasta salad (recipe added to the post) ... how great? so great that a nine-year old came back for seconds! 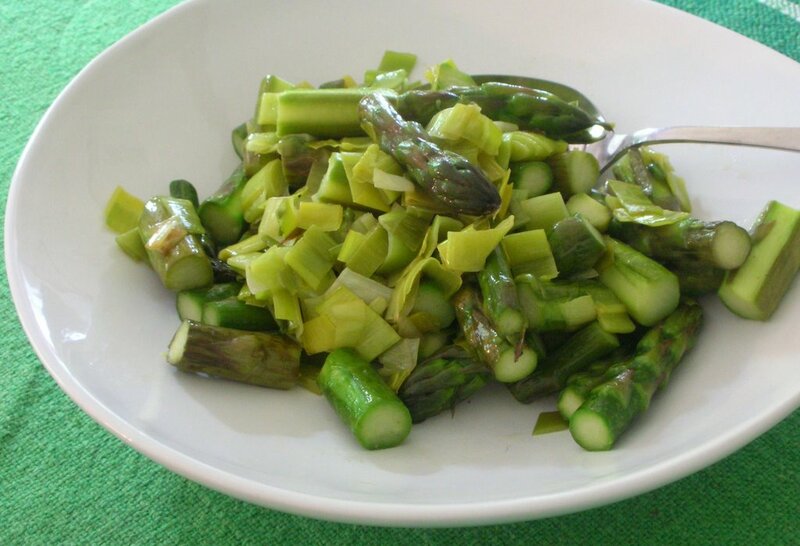 Leeks & Asparagus ... very simple, just leeks in butter, this year with fat spears of asparagus that held their shape but turned almost cream ... luscious! 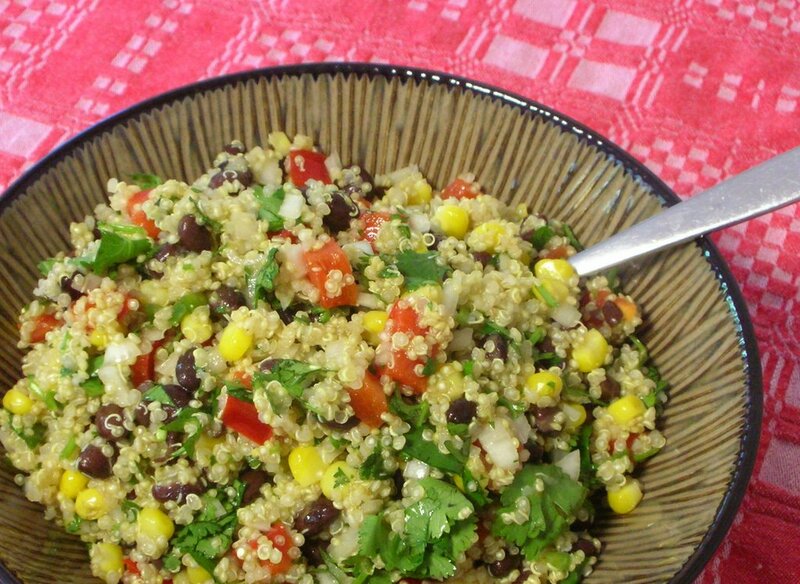 No-Cook Taboulleh ... just delicious! 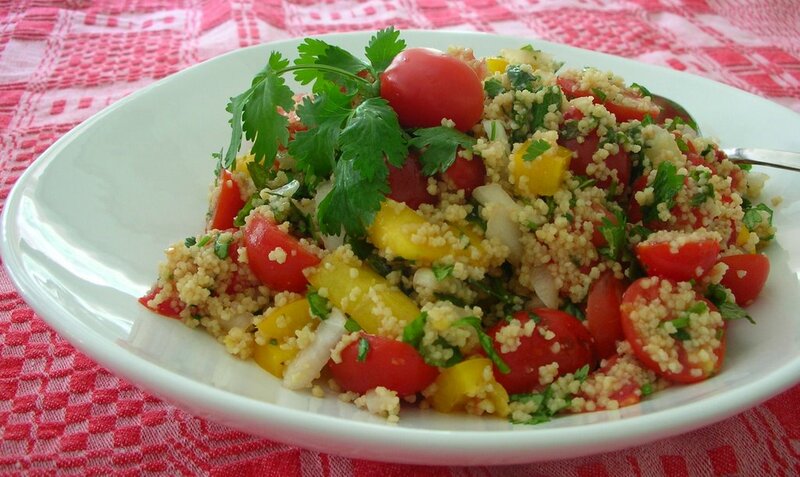 And the calories dropped in half by changing the proportion of couscous:tomato and cutting the olive oil. 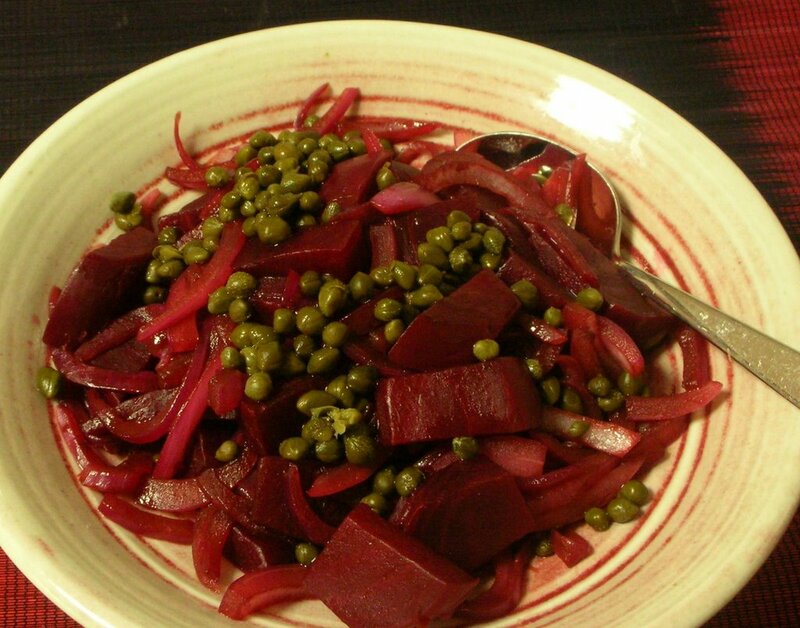 Red Onion Beets ... if you've got cooked beets, a quick 'n' easy side dish ... just sauteed red onions warmed with beets and capers ... isn't it pretty?! 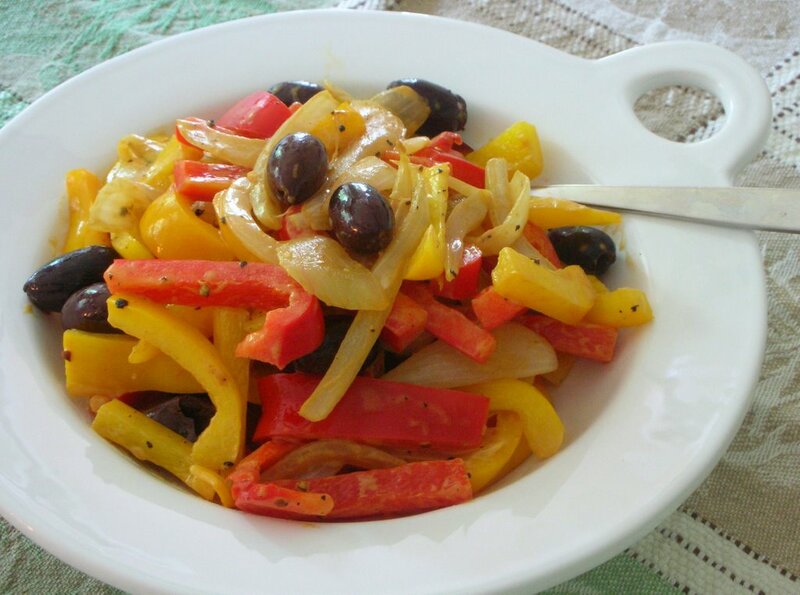 Red & Yellow Pepper Relish ... just colorful bell peppers sauteed with a touch of good mustard and a few olives, so simple! 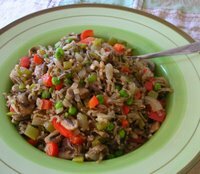 Wild Rice Salad ... wild rice "vegged up" with peppers, peas and mushrooms. 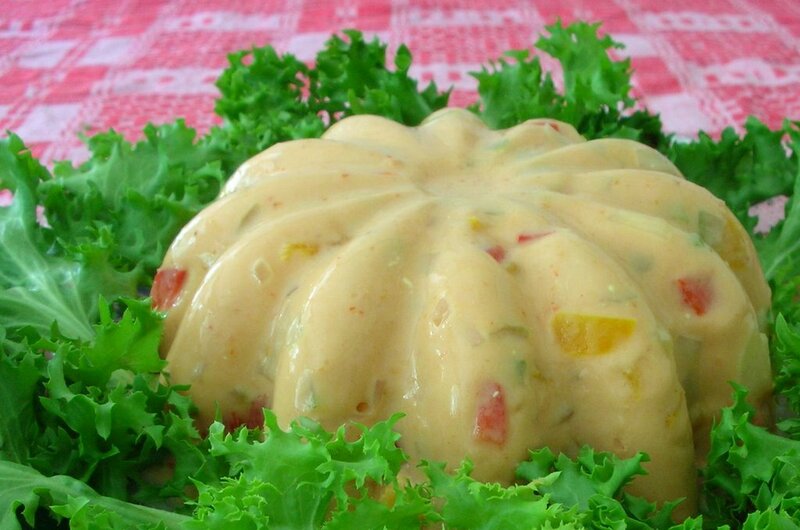 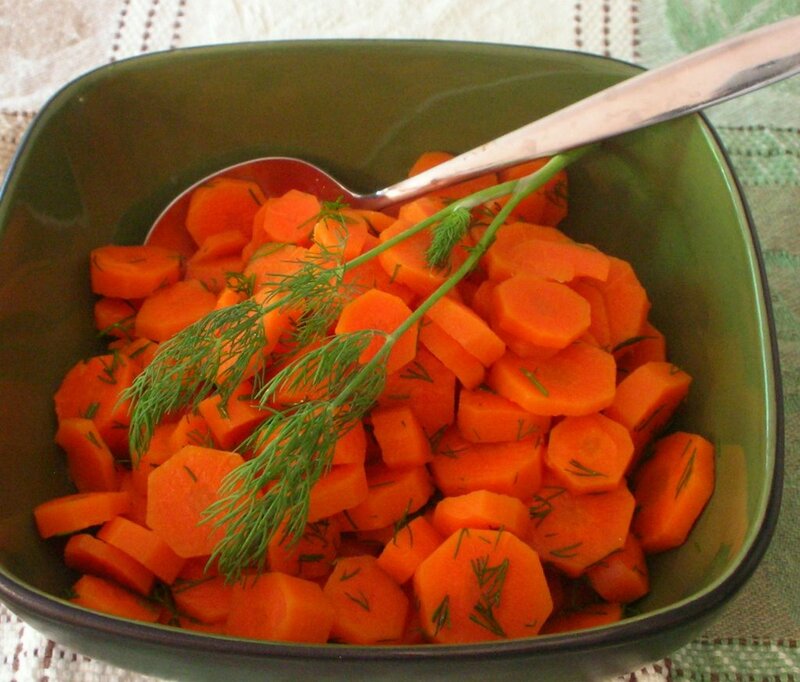 It's a long-time family favorite! Overwhelmingly good! 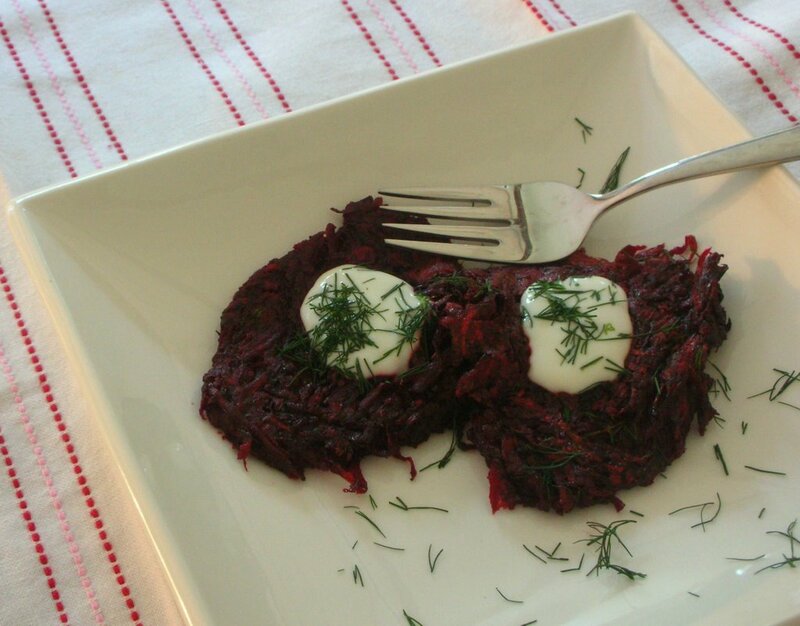 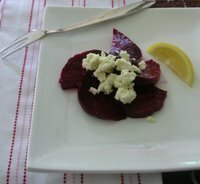 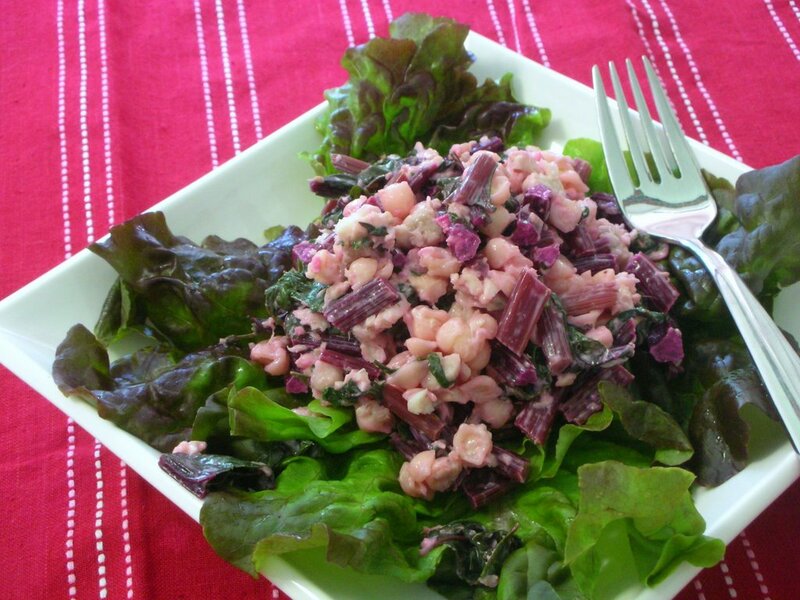 The beets with feta has really caught my eye!